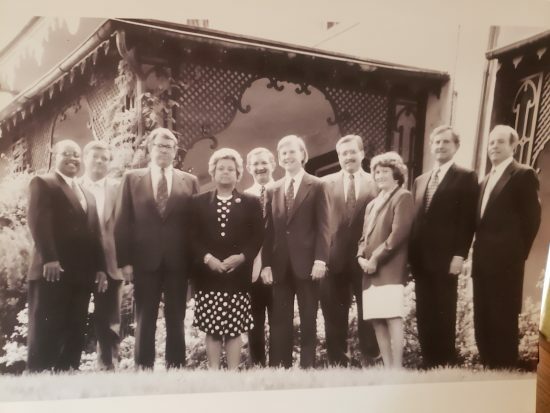 In 1994, the Chester County Community Foundation opened its doors in a garret office donated by the Lukens Historic District in Coatesville. For nearly 25 years, the Community Foundation has focused on long-term legacy philanthropy, so that charitable assets are available to help nonprofits thrive in challenging as well as prosperous economic times. Now with nearly $40 million awarded via 9,200 grants and scholarships, we are preparing to mark 25 years of growth and accomplishments. This is a milestone so large that our celebration will last all year. Please consider making a donation to help us INSPIRE, CELEBRATE, and GROW legacy philanthropy in Chester County. As we look ahead to our next generation of community activists and legacy fund donors, we are eager to support the vibrant initiatives of the next wave of people who want to make a difference, now and forever.